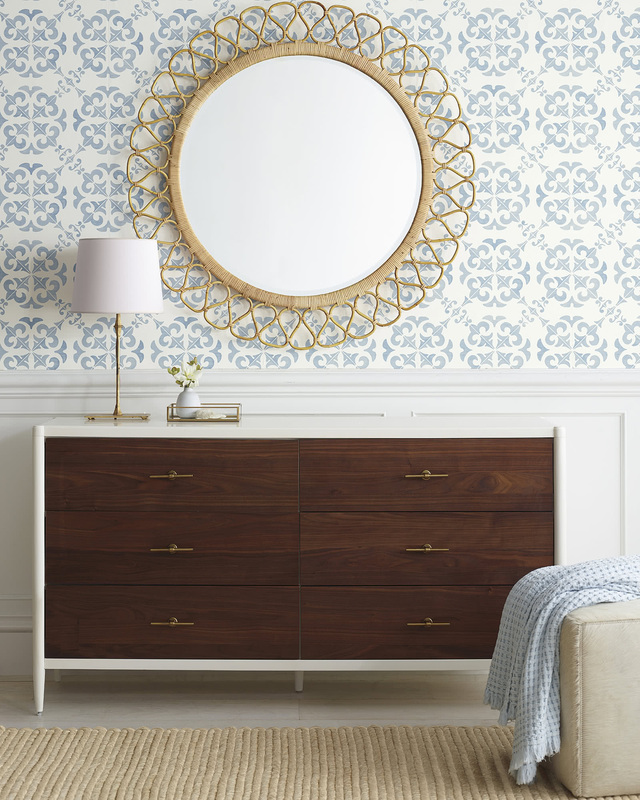 Wentworth WallpaperWentworth Wallpaper, Blue alt="Wentworth Wallpaper, Blue"
Print We handpainted this design ourselves to capture the beauty of vintage tilework – a look we love for its intricacy and patina. 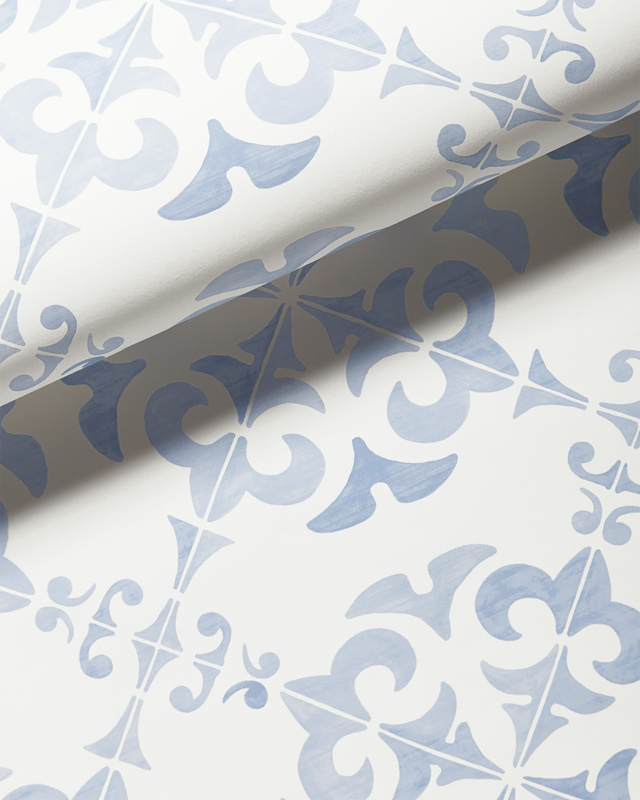 The result is a rich pattern in serene shades, for wallpaper that’s dramatic yet surprisingly flexible. 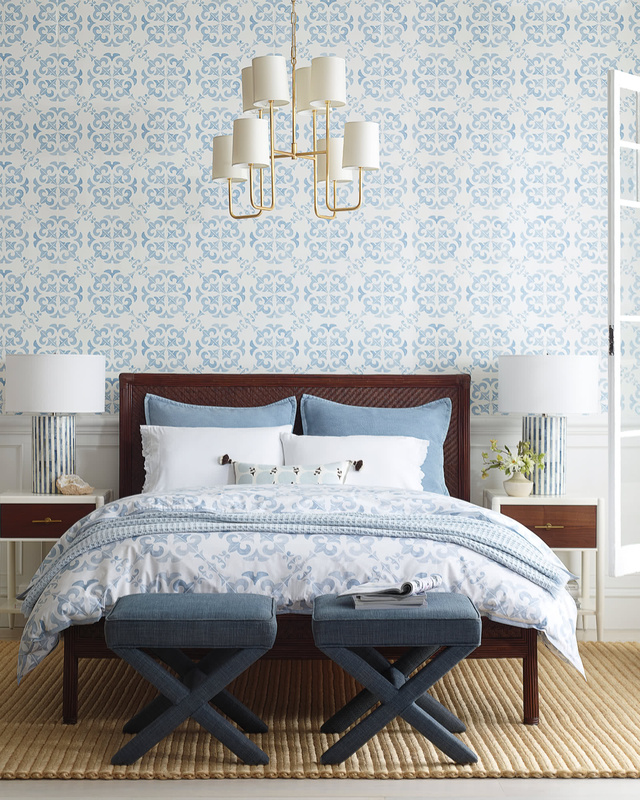 To hit all the right design notes, we worked with a historical wallpaper company known for their unparalleled expertise. 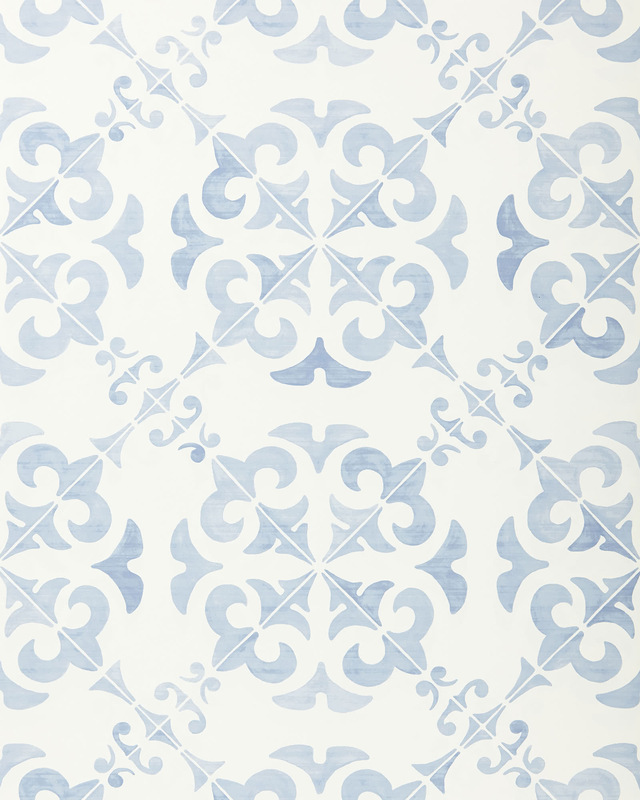 Look closely and you’ll find tonal variations in the finished print, echoing the patina of tiles that have aged gracefully. Each unpasted roll measures measures 20.47 in. wide x 32.97 ft. long and covers 56.3 sq. ft.
Pattern repeat: 20.47”, straight match.